main > Book Bound Executive Journals 6-3/4" x 9-1/2"
Book Bound Executive Journals 6-3/4" x 9-1/2"
6-3/4" x 9-1/2" Book bound executive journal with debossed logo on front cover. Imported. 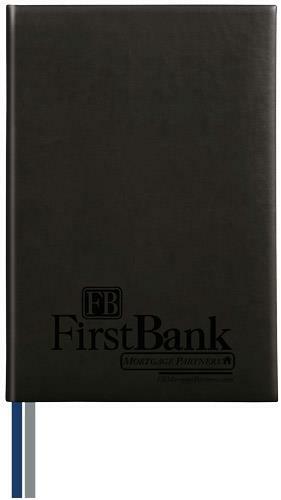 6-3/4" x 9-1/2" Book bound executive journal with padded covers, debossed logo on front cover. 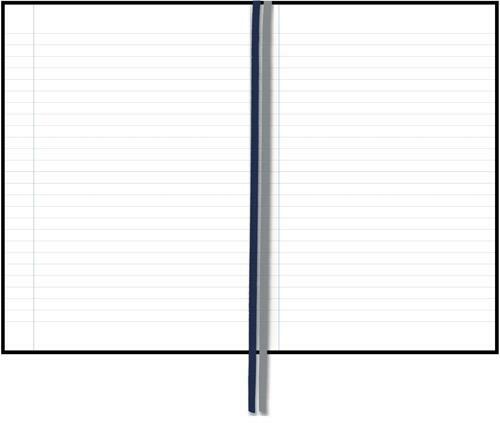 256 lined and perforated pages, white paper. Book bound on left side. Includes blue and silver ribbon markers. Cover Colors: Black (503), Tan (504).